There are a LOT of supplements on the markets for pets. 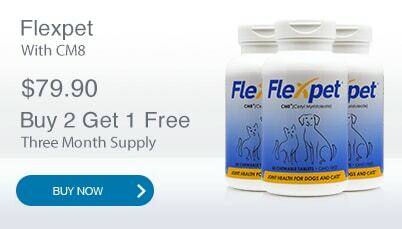 And we don’t just mean pet joint supplements – there are supplements for a vast number of conditions. Figuring out which one is best can be quite overwhelming due to all the options. So, how do you know what to choose? 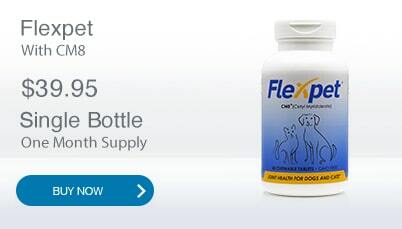 We know the frustration of trying to determine what’s best for your pet (at Flexpet, we’re pet owners too! ), so we put together some helpful tips and things to look for when choosing a supplement for your pet. Look at Reviews – Online reviews can be a good source of information about a product. Of course nobody is going to have a perfect record, but are the reviews generally good? Do people seem like they’re having a good experience? Don’t just check the company’s website – look at things like Facebook and Amazon. Are the reviews at the 4 star mark? Of course some people are going to be unhappy (and unhappy people are more likely to leave reviews), but there should be an overall positive sentiment. The more positive, they better off you likely are. Longevity – How long has the company been around? Typically, “fly by night” companies that haven’t had the chance to prove themselves tend to be a little riskier. There is also less confidence that the company will still be there tomorrow if there’s a problem. This doesn’t mean you have to pick a product with decades of experience, but you’ll want to see at least a few years under the company’s belt if there isn’t another compelling reason to go with them. Case Studies and Research – Is there anything that backs the claims about what the supplement does? Can you see any case studies (this goes along with reviews), or more importantly, any clinical research provided by an independent third party with credentials? This could be for the product itself or the key ingredients. Just because someone hasn’t discovered a miracle cure, doesn’t mean it actually is. We’ve all heard those stories before. It pays to take a few minutes and to do some research and make sure there’s science to back up the claims. Natural Supplement or Medication? – This one is honestly more of a preference, but it’s important to know what you want. At Flexcin, we prefer to go the natural route and lean on supplements as opposed to medications created by pharmaceutical companies. However, there are others who would prefer going with medication. That’s absolutely fine, but make sure you know what you think is best for your dog, and it will help keep you from getting overwhelmed. Of course, you should also look to the advice of a trusted vet for your dogs needs, whether they should be supplements or medications. Ingredients – Know what’s in the supplement you’re giving your pup. What’s important, and what’s just filler? Is there anything proven or a general consensus on specific highlighted ingredients? For example, Glucosamine is a very popular supplement for joint pain. But did you know there are two types of glucosamine? There is glucosamine sulfate and glucosamine hydrochloride. One of them is very effective, and one isn’t very good at all (you can learn about both here: Glucosamine Sulfate vs. Glucosamine HCL, and glucosamine sulfate potassium is the one you should get). We know this can be a little intimidating, but just spending a few minutes checking out the key ingredients can be very helpful to make sure you know you’re getting what’s best. Will the company stand behind it’s product? – Nothing is worse than buying a product, having it fail, and feel like you just made a mistake and wasted money. Any company that is truly confident in their supplement will offer a guarantee and honor it. If there’s no guarantee, that’s a flag that the company isn’t willing to stand behind it’s product. Buy at your own risk. Overall, the two biggest things you are ultimately going to look for are safety and effectiveness. Once you’ve determined that the product is going to be safe for your dog (by far, this is #1), the next best thing to do is try it out. You’ll want to see if your dog likes it enough to actually take it (some dogs just don’t like certain flavors no matter what you do! 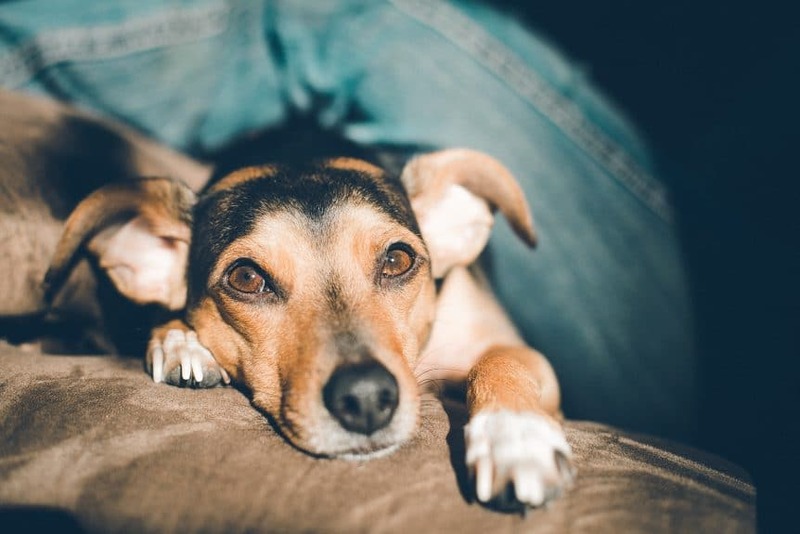 ), and how it works specifically for your dog (just like with people, sometimes what works for one dog may not be just as effective for another). Again, if you choose a product that has a guarantee behind it, you should be able to do this with minimal risk. Give it to your pet for the manufacturer’s recommend duration, and follow the instructions very carefully – you can’t properly evaluate if you only give your dog half the recommended dosage to “stretch things out” a little bit. When in doubt, your best bet is to ask your vet for help. Bring them any information you can. There may be products your vet hasn’t heard of – that’s okay. Vets are usually very good at looking at the information provided and helping you understand what’s best for your dog. And, the vast majority of vets entered veterinary medicine because they really love animals, so you can be confident that they really are helping you decide what’s best for your dog. Have a question specifically about joint supplements? Simply Contact Us and our Customer Care team would be happy to give you a hand.